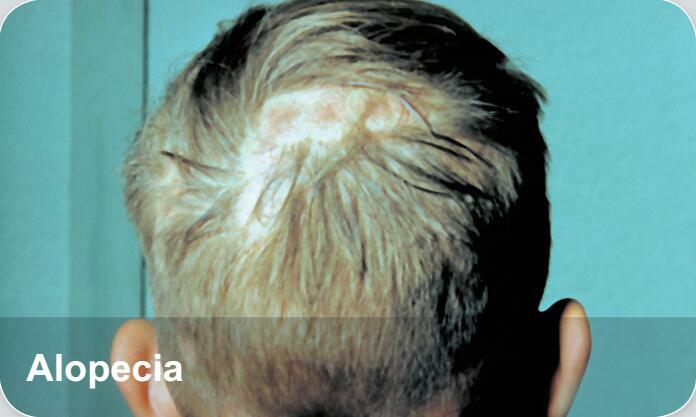 Alopecia， also known as hair loss or baldness, refers to a loss of hair from part of the head or body. Typically at least the head is involved. The severity of hair loss can vary from a small area to the entire body. Typically inflammation orscarring is not present. Hair loss in some people causes psychological distress.